We have been discussing Astrology in our classroom this week. The kids have pretty much loved every minute of it. Last fall, we took the kids to the homeschool day at NASA (see here). That trip sealed the deal with their love for all things space related. One of the activities in my son's 4th grade science book (ABEKA - Understanding God's World) was to make several small holes in two sheets of paper. One sheet was white and the other sheet of paper was black. Then you hold the sheets of paper up to the sun (one at a time), observing how the light shines through the holes. With the white paper, the holes (or stars) are not as brilliant. When we held up the black paper the stars were really bright. This was our main discussion point: Why do we only see stars at night? The white paper acts very much like the atmosphere, scattering the light and making the holes (stars) less vibrant. The instructions were to make the holes in construction paper using a pin. I thought it would be more fun to make the holes using our Light Bright. The kids have always enjoyed playing with it and it brings back childhood memories for me. The plan was simple, poke holes in your paper. But, the kids took it to the next level and asked if they could copy the patterns of various constellations. BRILLIANT! What a creative idea! They each took their turn with the Light Bright. While it wasn't their turn they filled their time with other subjects. Then we took the sheets of paper to the backyard and held them up to the sun. In all honesty, they enjoyed making the constellations more than holding the paper up to the sun. There was a moment when everyone was complaining that it was too bright outside. :) Oh well, it was still a fun activity. All in all, I would definitely do this again but omit the outside part. You could just hold the paper up to a light or even place a flashlight behind it. This has absolutely nothing to do with the lesson. My son wanted to make sure I captured his pose. Fierce! This week is National CHD (Congenital Heart Awareness) Week. As I have said many times before, our oldest child was born with Tricuspid Atresia - Hypoplastic Right Ventricle. 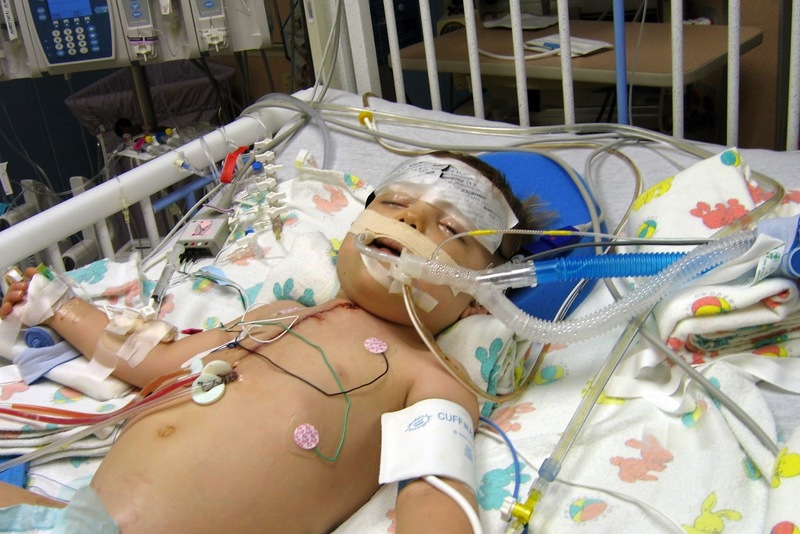 He underwent heart surgery when he was 4 days old and then open-heart surgery at 3 months and 20 months. He is a very active boy and other than his scars you really cannot tell he is any different from the average ten year old. When he was three years old we had a bit of a scare when he was also diagnosed with a sinus node dysfunction (or sick sinus node). God makes our hearts with natural pacemakers. These natural pacemakers insure that our hearts "fire" properly (keeping our heart rates in regular). One of our son's "natural pacemakers" had become lazy and was no longer firing. Thankfully God gives us more than one natural pacemaker (we have a back-up pacemaker). Our son's "back up" was picking up the slack for the weak one. Because of this, we were told he would definitely need a pacemaker implanted but when exactly was a huge question. It signs would come on pretty sudden but it could be weeks, months or years away. Every year he wears a holter monitor before his annual cardiology check up. This monitor keeps track of his heart rate for a 24 hour period. Due to this sick sinus node (lazy natural pacemaker) he has always had very low (freakishly low) heart rates. Every year we brace ourselves. Will this be the year the pacemaker has to be implanted? Will this be year he has to go back in for some type of surgery? I immediately asked her to tell me again. Yep, that is right, I heard her right, his sinus node that has been so lazy (and not doing its job) has started firing again!!!!! His heart rates were a good 20 points higher across the board than a year ago. His resting heart rate has raised to 50 beats/minute, his average active periods were 80 beats/minute, and his really active times were hitting 165 beats/minute. That last number is not even possible when your sinus node doesn't fire. His pulse ox (SpO2) reading was also bouncing between 98%-100% (meaning his body is actually receiving 98-100% of oxygen). He has NEVER hit 100%! APPEARS RESOLVED - CAN YOU BELIEVE IT! PRAISE GOD!!! Now the cardiologist did say that this could be due to the Strattera he takes for his ADHD but she really couldn't count that to be 100% accurate. She said she really couldn't explain the reason for the sinus node firing. After that she just kind of chuckled. It was such an amazing moment and we are all still letting it soak in. Does this "fix" his heart? Does this mean we no longer have worries? What it means is that he still lives with a hypoplastic right ventricle BUT for now the sinus node is working and that takes the threat of having a pacemaker out of the equation. We don't know how long the node will continue to fire but for now we are praising God and giving all the glory to Him. 1 out of every 100 babies are born with some type of heart defect. That is a pretty serious statistic. The rest of this week is CHD Awareness week. Please take a moment and say a prayer for all doctors, nurses, families, and especially the kiddos with CHD. I know this picture probably look so scary to most. To us it is a reminder of how great God is and how his hand has been on our son from the very beginning. He has blessed us with amazing doctors and nurses. He has blessed us... beyond measure. If you would like to follow all of our son's surgeries you can go to a post I wrote last year. Please click here if you would like to see his journey. Thank you so much for all of you who read this blog. It is means so much to me that you would take the time out of your day to spend a few minutes here. It's here!!! 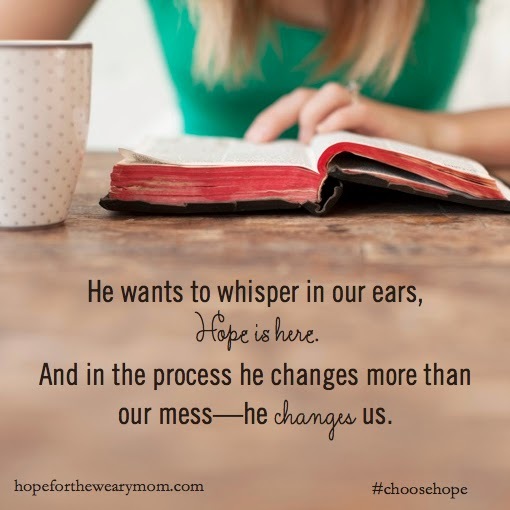 Hope for the Weary Mom is now available for purchase. I have already pre-ordered my copy and I cannot wait to dive in. I have kept up with Brooke through the MOB Society for a couple of years. 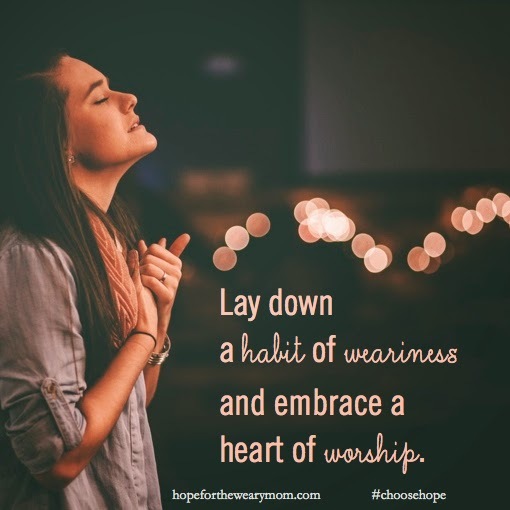 I have also recently completed the Hope for the Weary Mom 5 Day Devotional Challenge and the Fight Like a Boy Mom - Hard To Handle Boys video modules. I connect with everything she says. I cannot tell you how much both of these authors have read my mind and spoken directly to my heart. Here's the deal, it doesn't matter if you are a stay-at-home mom, working mom, part-time working mom, single mom, the list could go on - YOU ARE A MOM, a mom created by GOD. When you feel tired, weary, and ready to throw in the towel, remind yourself that HE has his eyes on you and HIS arms around you. I am not receiving any type of compensation for placing this book on my blog. I just love these authors and their message so much that I want to share it with all of my favorites mommies. 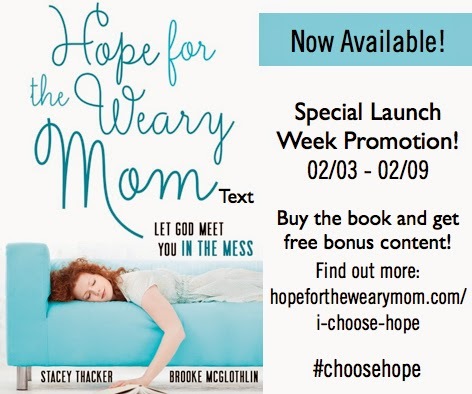 I hope you buy the book and we can share in the wonderful message Brook and Stacey have brought to us.